Hidroplasto offers a wide range of products for construction of any type. In order to support our customers we produce and sell the following types of products: Linear elevators (straight and crenelati), Roofs, Pvc pipes for curb, Pvc plugs and cones, Turnuite, Triangle profile (single or side wing ), other types. Spacers specially designed for vertical reinforcement. Distances that due to its design can be used for bars with different diameters from Φ4 – Φ14. The Hidro Rosette spacer is the most widely used and known model as a spacer for vertical reinforcements (poles, columns, diaphragms, beams, belts … etc). The rays (concrete) of a spacer range from R15mm to R50mm. Removes after stripping. When cutting, the length of the spacer tubes must be reduced from both sides for the two crowns by 2 cm. For closing the spacer tubes, stellate tubes and groove cones. For sealing tubes / pipes against water and reducing noise transmission at the gripping points. 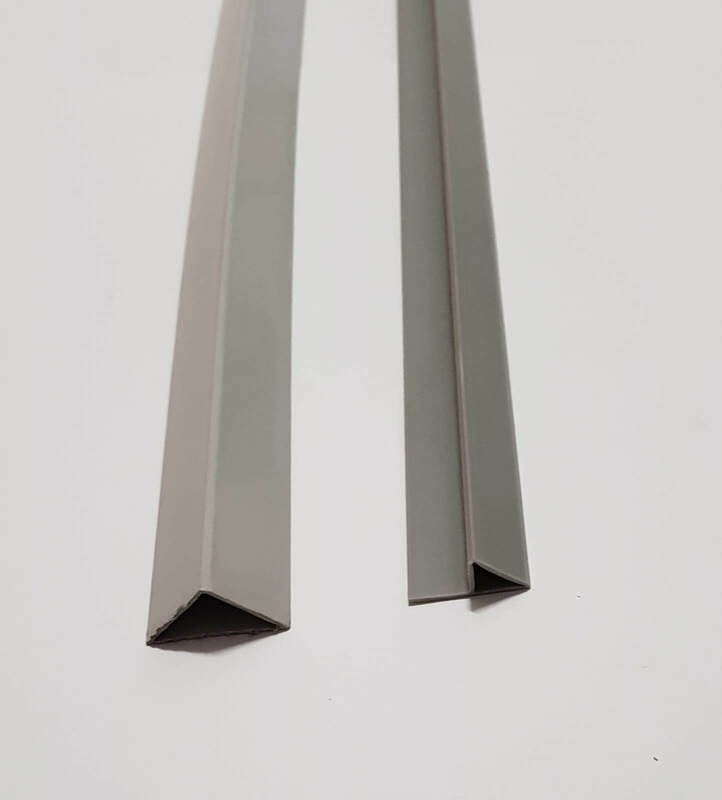 The triangular sash made of PVC with a wing or without a wing for the poles and beams is provided with holes for nails, is used for edging edges on pillars, beams, etc.